On 5 October, Rosatom State Atomic Energy Corporation and King Abdullah City for Atomic and Renewable Energy signed Programme for Cooperation in the Peaceful Uses of Nuclear Energy. The Programme signature was executed in Moscow during a visit of King of Saudi Arabia Salman bin Abdulaziz bin Abdul Rahman bin Saud to the Russian Federation. 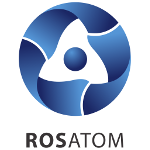 The Programme provides for cooperation between Russia and Saudi Arabia in several key areas such as small and medium reactors that could be used for both power generation and water desalination, in the area of human resources and nuclear infrastructure development for the Saudi national nuclear programme. Russia and Saudi Arabia will also consider the advantages of construction of a Nuclear Science and Technology Centre based on the Russian-design research reactor in the Kingdom of Saudi Arabia. The Programme was signed following the framework of the Intergovernmental Agreement (IGA) for the Cooperation in the Peaceful Uses of Nuclear Energy concluded by the two countries on June 18, 2015.